Thanksgiving is the busiest box office day of the year, guaranteeing long lines and crowded theaters. Why endure all of that when Thanksgiving is all about family (and food)? Instead, families can spend some quality time watching heartwarming Thanksgiving flicks. 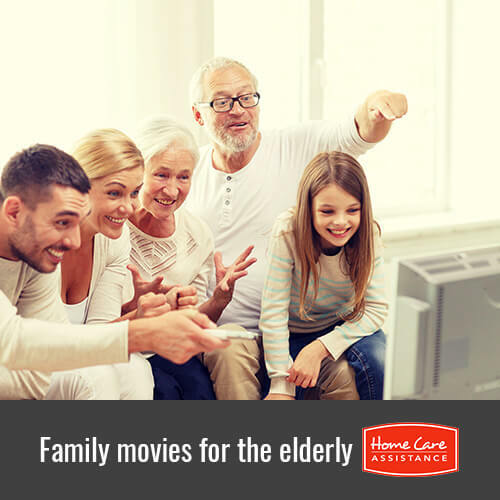 These five family-friendly movies are perfect for Oshkosh, WI, at-home caregivers to bond with their senior loved ones on this family-oriented holiday. When poor Charlie Brown gets roped into putting together a Thanksgiving dinner for his friends, it falls to Snoopy and Woodstock to make everything a success. The whole cast gathers around a hastily made up Ping-Pong table to celebrate the holiday. Despite all the mishaps, the true meaning of Thanksgiving shines through this family classic. Leave it to Disney to have a wonderful, family-friendly movie for Thanksgiving! This film features Pooh, Piglet, and Rabbit putting together a wonderful Thanksgiving meal together for themselves and their friends. This 2011 film starts off with three Muppet fans finding out the Muppet Theater is in danger of being torn down. The three friends try to save the theater by bringing the Muppets back together for one last show. Exactly what happens after a Thanksgiving turkey is pardoned? The main character in this 2013 animated film ponders just that when he gets roped into a plot to go back in time and prevent turkey from ever becoming part of the Thanksgiving menu. Although this film focuses on Christmas, it opens with the iconic Macy’s Thanksgiving Day Parade. Bridging the gap between Thanksgiving and Christmas, the story follows a little girl and what she truly wants for Christmas. Both the 1947 and 1994 editions are gorgeous films that are perfect for seniors to watch with their families and Oshkosh, WI, live-in caregivers. Encourage your loved one to enjoy Thanksgiving with help from Home Care Assistance of Oshkosh, Wisconsin. We provide reliable elder care Oshkosh, WI, seniors need to lead active lives in the comfort of home. Contact (920) 710-2273 today to learn more about ways you can help your senior loved one enjoy his or her golden years.